When it comes to the supporting structures of our teeth, nothing is more important. Proper treatment of gums and gum health is crucial to our oral health as well as our overall health and wellbeing. Gum disease can not only result in loss of teeth, but it has also been linked to cardiovascular disease and respiratory infections as well. From gingivitis to periodontitis, periodontics treats inflammatory diseases that damage gums and the surrounding structures. Gingivitis is the first stage of periodontitis or gum disease that is easily reversed with good hygiene and regular cleanings. If gingivitis is identified at an early stage, further gum damage can be prevented. Periodontitis, on the other hand, is a more serious issue. When gingivitis is not treated, it advances and causes the gum and bone in your mouth to pull from your teeth. This forms small pockets that can fill with food debris and bacteria then become infected. Treatment can include the prescription of antibiotics, removing plaque from below the gum line through scaling and root planing, as well as removing diseased gum tissue. 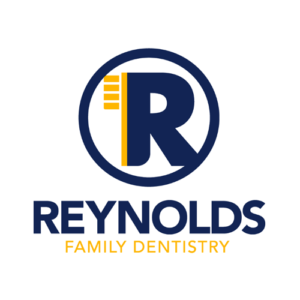 Whether you are suffering from gingivitis, or are afraid you have advanced periodontitis, we can help you at Reynolds Family Dentistry. It is important to make an appointment as soon as you can, so we can stop the gum disease in its tracks and start to reverse it. Contact us today at (812) 246-3368 to schedule an appointment.